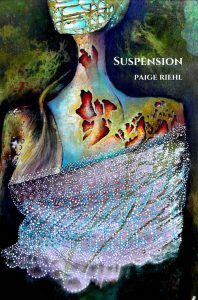 With its polyvalent title, Paige Riehl’s Suspension is the perfect hierophant for an exploration of the bridges between the self and the world. 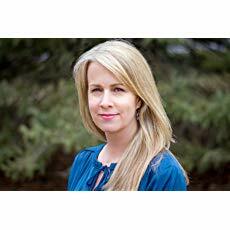 Many of the poems are about an international adoption, itself an image of nesting/nestling a poet-mother’s experiences into the loving act of parenting. The threads hang together, suspended like an oriole’s nest in which the children thrive. Then there’s the chemical sense of “suspension,” where undissolved particles of one thing are dispersed throughout another—truly the farrago of my life…yours too? And let’s not forget “suspension” as a stoppage or temporary withholding—not just as a rhetorical term (although check out “Apophasis” (19)) and not just a force that counters disbelief, but an invitation to consider the nature of time. What remains is what we are waiting for: it. The saltwater, the sky, the same thick dark. death rushing toward them like a train. and walk away without feeling dizzy. But soon, Edie will cross her own threshold. And “the waiting is strange,” the poet writes, as someone searches for enough river to wrap the dying woman in (74). The it that we waited for before has become something else. And we are still part of it. And it does not end.